August 1958 and DI Stratton has moved from the West End to Notting Hill, one of the poorest neighbourhoods in London. Over the previous decade many Caribbean migrants have made the locale their new home and racial tension is high, often tipping over into violence. For Danny Perlmann, a Polish refugee and holocaust survivor, the area represents a business opportunity. He’s been building up a property folio, buying and subdividing houses and renting them to anyone who wants them regardless of colour or occupation, including prostitutes. When Perlmann’s civil minded rent collector is murdered, Stratton is assigned the case. Not long after one of Perlmann’s renters, a black man that the locals think is dating a white woman, is stabbed to death on the street. Whilst upper class do-gooders try to keep the lid on the simmering cauldron, Stratton tries to solve both murders before the place erupts into riots and running battles. 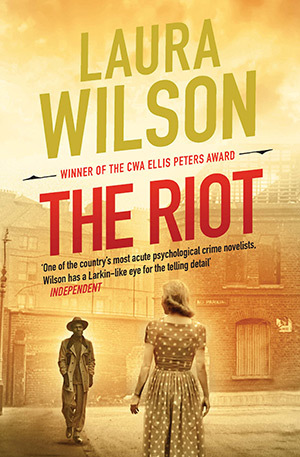 The strengths of The Riot are the characterisation, sense of place and time, and social contextualisation. 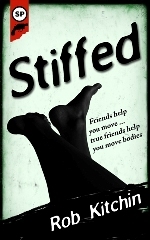 DI Stratton is a strong and interesting lead and the book is full of a diverse set of well defined and vividly penned characters. There is a strong sense of London in the late 1950s as the social mix of some neighbourhoods start to change, and Wilson does a good job at conveying the social realities of working class life and the tensions around change. Indeed, the story works well to weave issues of race (both Black and Jewish) and gender through class and capital. And the plot is intriguing and quite complex. That all said, the story is let down a little by its pacing and balance. Prior to ‘the riot’ the storytelling is quite slow and there is a lot of unneeded detail. For example, on his initial visit to the house in which a murder occurred Stratton laboriously meets everyone in the building and others nearby, most of whom never reappear in the book and who tell him little of importance. After ‘the riot’ things speed up somewhat, but there’s sometimes not enough fleshing out or reveal as to what is going on, especially with respect to the Perlmann’s empire. Overall, an interesting and entertaining story that’s nicely contextualised. On Friday I travel to New York and then on to Boston to give a couple of talks and to hook-up with some folk relating to work projects. 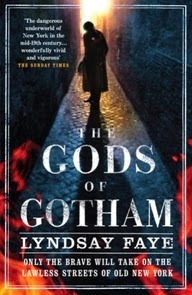 I've two books lined up for the trip so far, Lyndsay Faye's The Gods of Gotham and Andrew Cotto's Outerborough Blues. Whilst I'm in New York I'm hoping to spend some time in one or both of Partners & Crime Mystery Booksellers and The Mysterious Bookstore to browse titles and fill-up part of a suitcase. Any recommendations for a Boston novel to pick-up for the second half of the trip? Stiles pushed back the chair, paced to the wall and back. The man continued to stare at the off-white table top. Stiles bent down to the table, leaning on his long arms. Drawn to Eastern Iceland in search of the brother he lost in a snow storm decades previously, Detective Erlendur has taken to sleeping in the ruins of his childhood home and wandering the mountains. One morning he meets Boas, an elderly farmer, and they chat about a young woman, Matthildur, and some British soldiers who had died on the same night in a blizzard on the moor. Unlike the soldiers, Matthildur’s body was never found. Intrigued, Erlendur begins to investigate her tale, tracking down those still alive who knew her. The more he teases apart her story, the more he’s convinced that there is more to her disappearance than at first meets the eye. Strange Shores is the final instalment of the ‘Murder in Reykjavik’ series featuring Detective Erlendur. Erlendur has always been haunted by the disappearance of his brother in a snow storm and the fact that his body was never found. He blames himself for the death and searches the moors for his final resting place. He is drawn to the story of Matthildur, a young woman who similar vanished whilst walking in the hills. Indridason weaves these two threads together in Strange Shores. 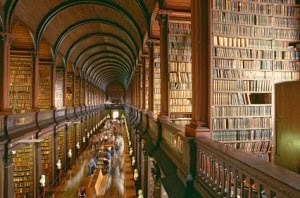 As with previous books, the pace is often slow, ponderous and reflexive. That in itself is fine, however, the story suffered from two issues. First, after a decent start, it began to feel like a novella extended into a novel, with too much of the tale not moving the story forward. Second, some of the dialogue felt clunky, which might have been a translation effect, but disrupted the narrative. Further, the conclusion of the story seemed to be oddly out of key. My overall impression then was that Strange Shores has the usual trademark melancholy, atmosphere and sense of place of the other tales in the series, but the plot and telling was weaker and thinner than some of the other books. The flattening and firestorm of Dresden on the night of the 13th February and morning of the 14th of February 1945 continues to generate controversy. For many it has become a symbol of the extent to which the Western Allies overstepped the mark from a morally righteous war campaign to wanton destruction and mass murder. For others, Dresden was a legitimate target; a key transport node and a centre for armaments production and administration, and the next city that the Russians would face as their front moved forward. The controversy focuses on Dresden and not other German cities who suffered the same fate in large part because of its cultural cache -- known as ‘The Florence on the Elbe’ -- the fact that it was unprotected (its flak guns moved elsewhere), the lateness of the attack in the war wherein it was clear that the Allies were going to win, that the city was full of refugees fleeing East, that the centre of the city and its key heritage buildings were the target rather than factories, and Russian anti-Western propaganda after the war as the iron curtain closed and the cold war started. 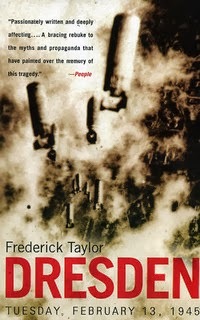 Frederick Taylor’s book seeks to chart what happened on the 13th and 14th of February 1945, when between 25,000 and 40,000 people died, and thousands more were made homeless as thirteen square miles of the city’s historic centre was destroyed, and to contextualise it within the long history of Dresden and of modern aerial warfare and the end game of the war, and to consider the moral philosophy of the bombing. He does so by drawing extensively on archival sources, interviews with Allied air crew and survivors of the firestorm, and by considering other accounts of the raid and their arguments. The result is a book that does more than detail a particular harrowing destruction of a city, but tries to make sense of it. Some of the history of the city was probably not needed and the moral philosophy could have been deepened and extended, but otherwise Taylor succeeds in his aim, providing a very readable, informative and largely non-partisan account and arguments. 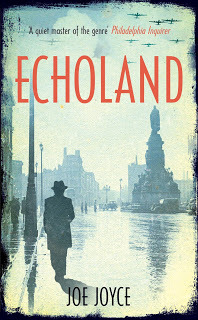 I picked up this bit of news from the blog of the Oracle of Irish crime fiction, Declan Burke, Crime Always Pays (if you're interested in all things Irish crime fiction then it's a must-read). On November 22nd/23rd Trinity College Dublin, in association with New York University, are hosting an Irish Crime Fiction Festival. Confirmed speakers so far are Declan Burke, Jane Casey, Paul Charles, John Connolly, Conor Fitzgerald, Alan Glynn, Declan Hughes, Arlene Hunt, Kevin McCarthy, Brian McGilloway, Eoin McNamee, Niamh O'Connor, Louise Phillips, Peter Quinn, Michael Russell, and Stuart Neville. The event is free, except for a €6 charge for the Connelly/Connolly panel. Details about the event and tickets can be found on the festival website. I've already booked my tickets. I suggest if you're interested you do as well before they're all snapped up. At my 'no longer head of department' gig on Friday I was very kindly given some Amazon vouchers. 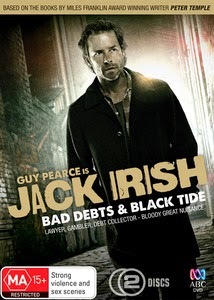 The first item in the basket was Jack Irish, the TV adaptation of two of Peter Temple's novels - Bad Debts and Black Tide. I'm really looking forward to watching these as the novels were terrific and Guy Pearce is a brilliant actor, so it should be a winning combination. 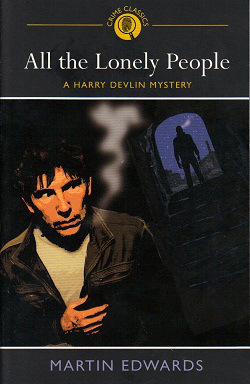 It was followed by Peter Quinn's Hour of the Cat and Malcolm Mackay's The Necessary Death of Lewis Winter. Now I'm pondering and I'm about to work my way through some review sites to see what else should join them. There were nine of them crammed in the shelter. Her mother, her aunt, her elder brother and sister and four cousins. Somewhere in the distance was a string of dull thuds. A trickle of loose soil fell from the roof. A few moments later the explosions were much louder, the ground vibrating. Now they could hear the whistle of the bombs, the explosions growing nearer and violent. How many were in stick? Ten? 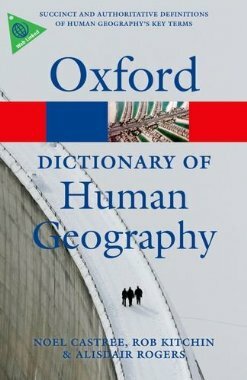 It's dawned on me that tomorrow I'll be launching Stiffed and the Oxford Dictionary of Human Geography. Work has organised an event to mark my stepping down as director of the institute I've run for the past 11.5 years. Rather than hold another event, we've folded the book launches in as well. Which is fine by me as I'm always a reluctant participant in these kinds of events. Hopefully I can get away skulking at the back with a bottle of wine whilst working my way through the nibbles. After two weeks travelling by train with my father round the Czech Republic and Eastern Germany I am feeling cultured out. I don't think I've ever been to so many museums and heritage attractions in such a short space of time before. Other than general wandering around, here's where we visited, all of which were interesting places and worth checking out. The picture is the rebuilt skyline of Dresden. I'm just finishing a book about the bombing raids that flattened the city in February 1945. 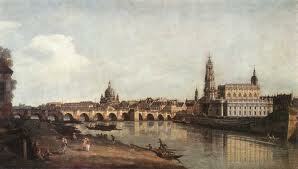 The skyline once again resembles that painted by Canaletto in 1748, when it was known as 'Florence on the Elbe'. Prague Castle, including St. Vitus Cathedral, The Story of Prague Castle, St. George's Basilica, Prague Castle Picture Gallery, Powder Tower. Dieter stared out the window of the train at the tall pines and rocky outcrops. Suddenly the sound of the struggling engine was punctuated by a loud explosion and violent juddering. Jolted to the floor, it took a moment before the shouts, screams and rattle of machine guns registered. Two round holes pierced the wooden slat above his head and he snapped back into reality. Clambering to his knees he felt the floor sway as the carriage started to roll backwards. As the remains of the train began its descent, slowly picking up speed, he fired blindly into the trees. This is my first day back at work after three weeks holiday. That's the longest break I've had in well over a decade. 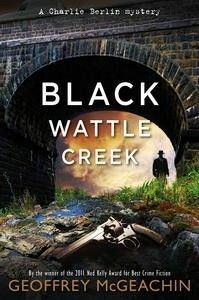 On my return I found three new books waiting for me: Laura Wilson's The Riot, Barbara Nadel's A Private Business, and Geoffrey McGeachin's Black Wattle Creek. 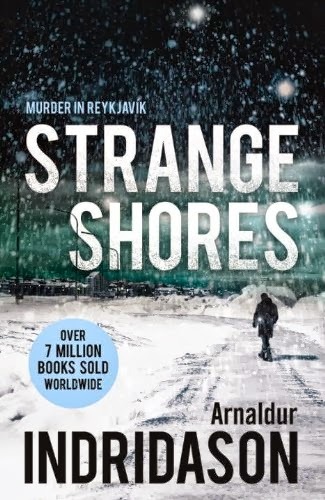 Along with Arnaldur Indridason's Strange Shores my plan is to make them my next quartet of reads, so expect reviews to start appearing in a couple of weeks. 1956 and the cold war is heating up. 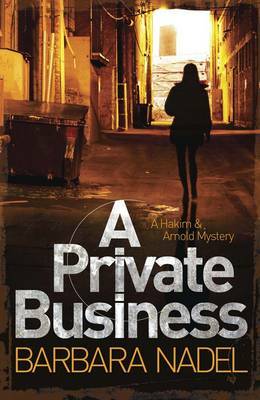 The reputation of Britain’s intelligence services lies in tatters after the defection of Burgess and Maclean, with the suspicion of other traitorous spies still in place. Henry Bone, a British spymaster, has discovered that a key East European spy, codenamed Butterfly, is about to defect to the Americans. Butterfly has plagued Bone for two decades and carries secrets that would further damage Britain’s reputation. To try and get to Butterfly first Bone turns to his protégé, William Catesby. Catesby is already perceived by some to be a security risk given his Belgium mother, working class background and socialist sympathies. After a mission to Budapest at the height of the uprising in 1956 and a personal scandal, Catesby is persuaded to be a plant defector to East Germany, hoping to identify Butterfly before he defects himself. It’s a mission that places duty ahead of all else and Catesby’s hoping that he hasn’t made a fatal choice. The Darkling Spy is a cold war spy story in the mould of John Le Carre – a dark, complex, layered tale of small heroic, compromising and treacherous acts and mind games, rather than the action, thrills and womanising of Fleming. Wilson creates a world in which no-one quite trusts anyone else, even family, friends and allies; in which the wrong decisions can have fatal consequences. It is a world of pervaded by lies, deception, mis- and dis-information, politics and ideology. 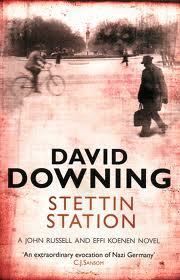 There is a strong sense of atmospherics and sense of place throughout and the story is told through an engaging voice. Bone and Catesby are convincing characters with interesting back stories that are nicely portrayed and the other characters are well penned. The plotting is very nicely done, with the various pieces of the jigsaw manoeuvred into place and the final picture only being revealed in the last few pages. The denouement felt a little flat, although in keeping with the understated telling of the rest of the story. Overall, a very good cold war spy tale. 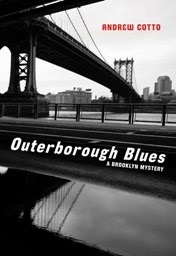 I'm on a run of historical crime fiction set in the 1940s/50s at the moment. 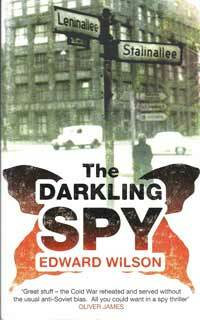 In addition to Echoland and Stettin Station, I've recently read The Darkling Spy by Edward Wilson and The Good German by Joseph Kanon (reviews in the next few days). 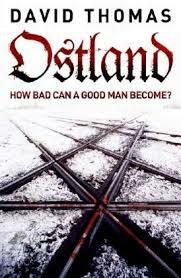 And I've just started Ostland by David Thomas. 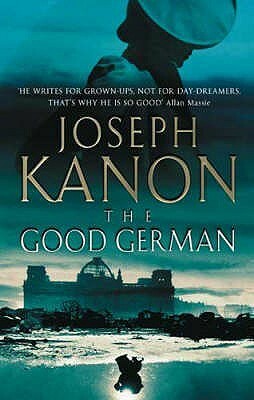 After that I think it'll be time to reorient back to the present and away from Germany for a couple of books. Muddy brown smoke bloomed out of the trees as the train struggled up the incline. Tomas watched its progress through a pair of binoculars. ‘Just as we planned, okay.’ He signalled to a comrade to their left. The engine turned into view, growling and hissing. As it neared, tired faces appeared in the filthy windows. Pasha watched the front wheels reach the marker. The explosion lifted the engine from the track and down the slope, pulling two carriages with it. Then the rattle of machine guns, shouted orders, and screams. 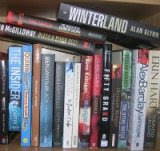 A mixed bag of read for August. 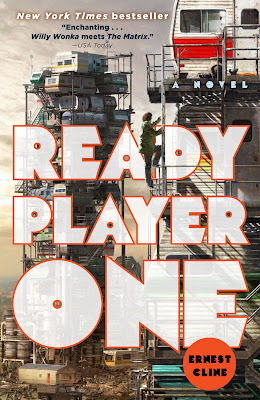 My read of the month was Ernest Cline's Ready Player One, which proved to be a fun and well plotted and realised book.